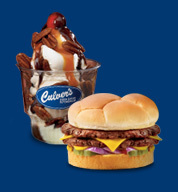 Most people remember us for our premium custard ice cream or our thick, juicy, Butterburgers...but we also offer a variety of other delicious meals and tasty treats. Step into Culver's of Mitchell and you'll experience fresh, delicious food served with a great big side of friendly smiles and warm hospitality. Our signature ButterBurger is made from fresh, never frozen, 100% U.S. raised beef and seared on a hot grill to seal in that juicy flavor. Our mouth-watering menu also features 45 other palate-pleasing items for you to sink your teeth into including garden-fresh salads, savory sandwiches and scrumptious homestyle dinners.